This last weekend I attempted to replace my front brakes as they were BADLY warped. I purchased all the parts. ...And it would of happened of I could of got the friggin wheels off. I don't have a impact wrench so I used the lug nut wrench that came with the car. That proved useless. I was standing on the wrench jumping in it and the lugs would not budge. I ended up going to Home Depot and buying a cheater bar. Got all but 4 lugs loose. I could not get those 4 loose. I conceded to the Mercedes god and took it to the dealer. One of my kids friends dad is a mechanic there. He got it done in just over an hour. After it was done I went out and talked to him. He said it sucked! With his air ratchet he broke 2 of his extensions - and mind you he has VERY good tools. The lugs are 17mm but apparently who ever had the wheels off before slightly stripped a lug so he had to hammer on a 16mm with and ratchet it off. A couple things. I HATE the lug design Mercedes is using. Secondly with the torque specified to tighten the lugs I have no idea how you would ever change a tire yourself in the middle of nowhere with the lug nut wrench the car comes with. I guess you call roadside assistance if you have cell coverage otherwise start hitching for a ride into the next closest town to make the call. Here are the lugs I have. Lugs look different than my ML250. If I remember torque is not much over 100 lb/ft. Should not be a problem. I've rounded two off on my 13' ml550 and I've only ever used a torque wrench on them. Poor design. I leave it in my truck because the standard lug wrench is short and useless. I switch wheels summer/winter. If I remember correctly the torque setting is 105 or 110 lbs. Those must be something for a 550 or an optional wheel. I have a 2013 350 and have regular 6 point 17mm bolts. I took my theft proof lug nuts off on my last car and replaced them by regular lug nuts for exactly this reason. They are just a problem waiting to happen. Having said that, I thread each lug nut on by hand to make sure it is not cross threaded before applying the air gun. How'd the rotor/pad replacement go? Someone posted a helpful DIY video a month or so ago. Those are the security lugs that require a special key to remove them. They are a supposed anti-theft measure. There should be only one on each wheel. Not correct, the security lugs are different. Well, one thing is certain. 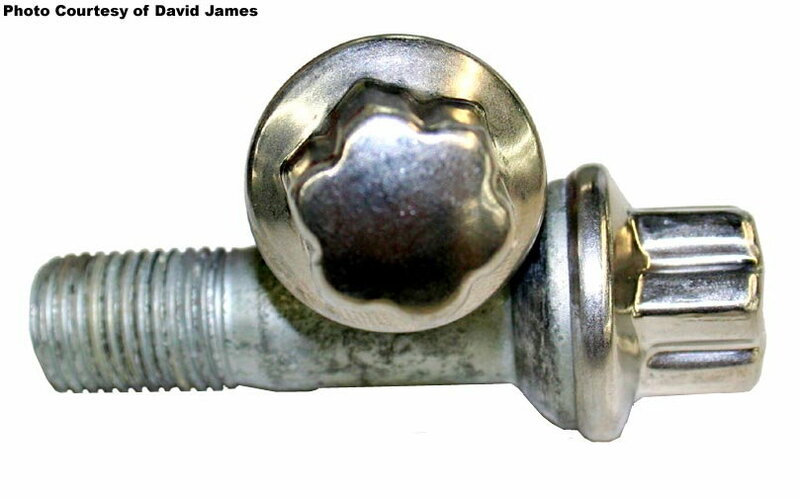 They are not OE lug bolts. Those appear to be the older-style wheel bolts off the 164 generation ML/GL. Did you buy your ML used? Those bolts came on my 13' ML550 with the 20" AMG wheels from the factory. I have the same thing on my '14 ML with sport package and 20" AMG rims. I noticed that on the diesels that does not have a sports package and have the regular 19" rims it only has the regular hex bolt lugs. 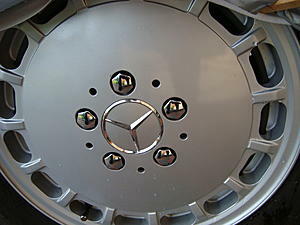 Maybe it is a build thing in the factory that all ML that has the 20" AMG rims must have the fancy lugs. It does look nice though. I don't care for the lug bolt design. Seems much easier to hang a wheel on studs and then screw on nuts instead of trying to hold a wheel in place while starting bolts. It must be a German car thing. Both of my ML's, both Gwagens, my Porsche Cayenne and both Audi Q7's all used lug bolts. That's why they provide the special tool to help you hang the wheel in place while you screw in the lug bolts. My BMW's have both had lug bolts and I always use the tool to thread into one and hang the wheel on it while threading 2 other bolts in. Sometimes, the wheel will hang just on the hub but your have to get the holes lined up just right. Last edited by skw; 06-06-2015 at 07:07 PM. Dealer told me that is the new lug design they are going with. I looked at the 2015 S Class and it had these lug nuts. 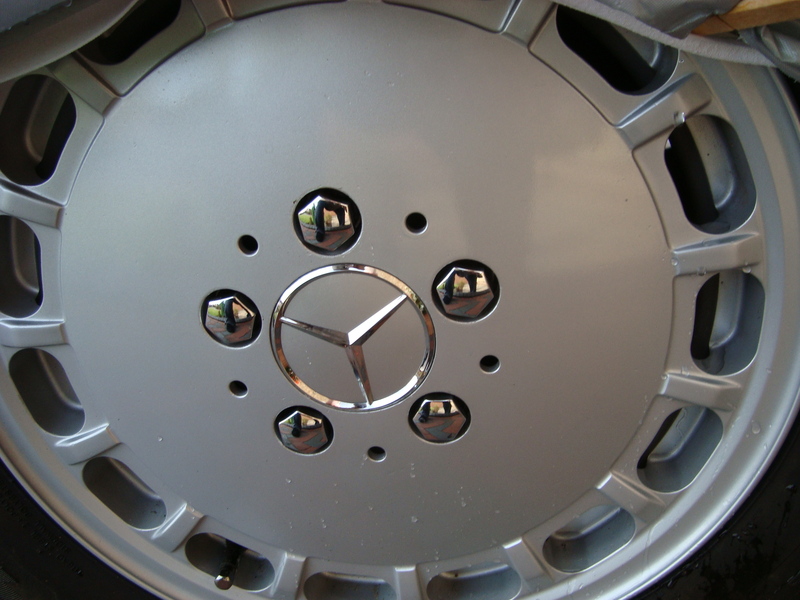 The tightening torque for M-Class wheels is 150 Nm or 110 lb-ft. Never grease your lug bolts! Last edited by DUTCH; 06-06-2015 at 05:24 PM. Dutch after 50 years of owning all types of cars and serviceing them, it never done me or my car any harm .So its up to you what you want to do on your car , as i do on mine . But i can go out and remove a wheel with ease. Not only cars, but caravans ,the wheels are one of the things that get left for a long time . I check my wheel lug bolts every 6 weeks or so . I never have any trouble removing my wheels. I torque them to spec and do NOT grease the lug bolts.